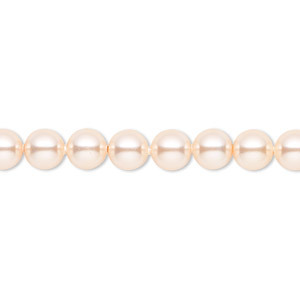 Pearl, Swarovski® crystals, peach, 4mm round (5810). Sold per pkg of 500. Item Number: H20-1335GP Have a question about this item? 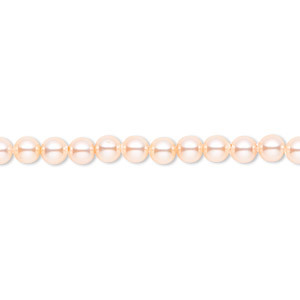 What could you create if you could use the finest, most magnificent manufactured pearls in all the world? 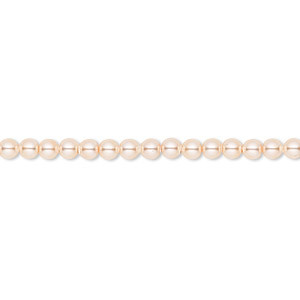 Start thinking about it, because those pearls are here ~ crystal pearls from Swarovski. 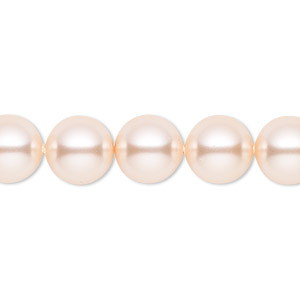 Why are they called "crystal" pearls? It is because they have a heart of an actual crystal bead that has been finished with layers of highly luminous pearlescence. 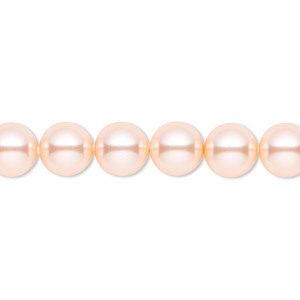 The result is the look of a fine South Seas pearl, the look that will make your jewelry into timeless heirlooms. 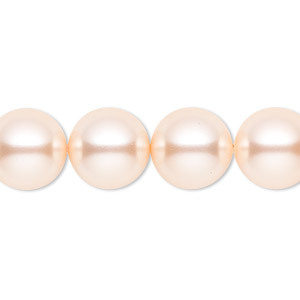 Pearl, Swarovski® crystals, peach, 4mm round (5810). Sold per pkg of 100.